TFG provides advice to governments in developed and developing countries on how to deal successfully with the impact of globalisation, and to devise policies that will facilitate trade and investment and cope with the transition process. It can also assist governments and corporations operating in developing countries with negotiations of structural adjustment packages and other international lending organisation programs. For developed countries, it is able to provide independent assessment of investment and loan programs for aid and other international assistance. 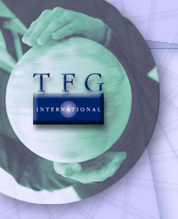 In addition, TFG can assist companies seeking to build a portfolio of work with international funding agencies. TFG can introduce companies to new opportunities and networks within Australia and New Zealand.